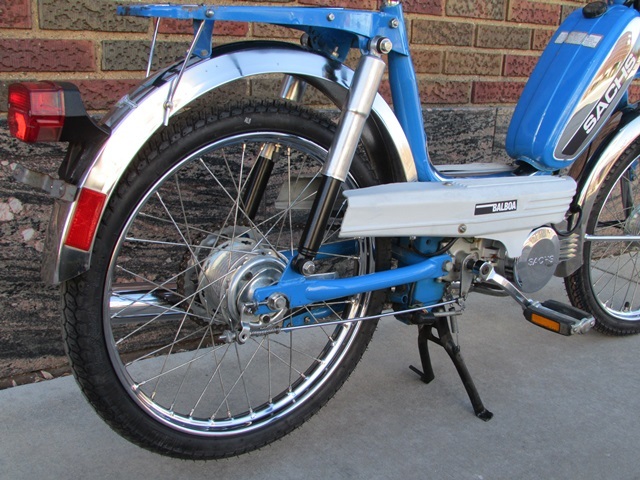 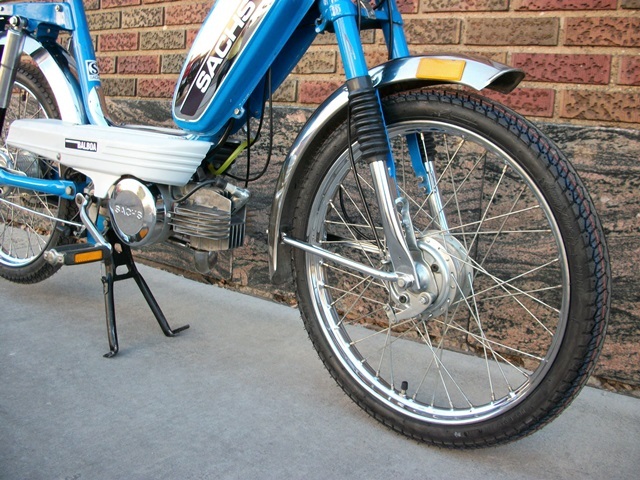 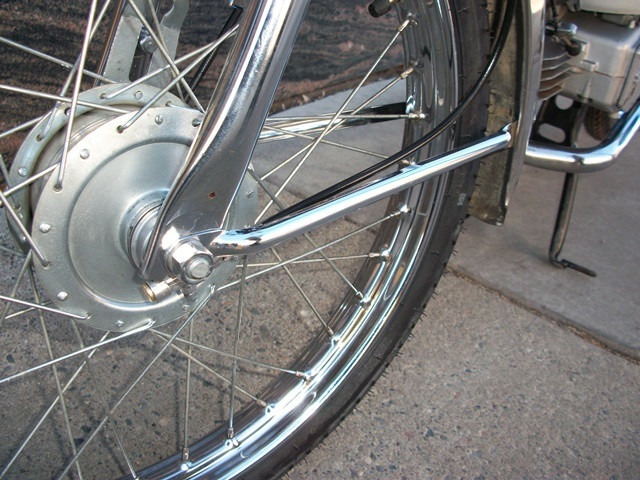 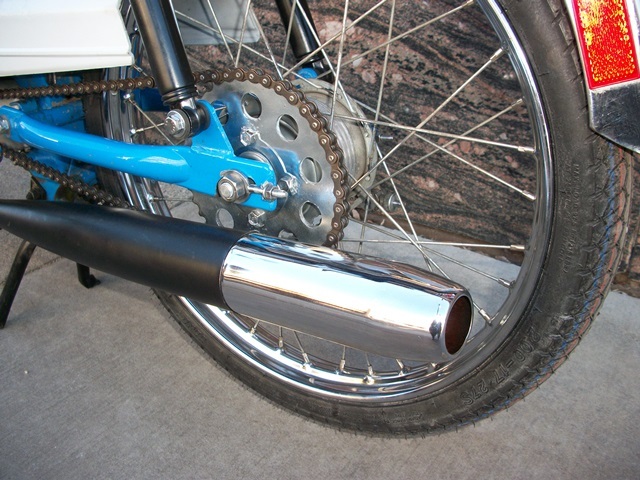 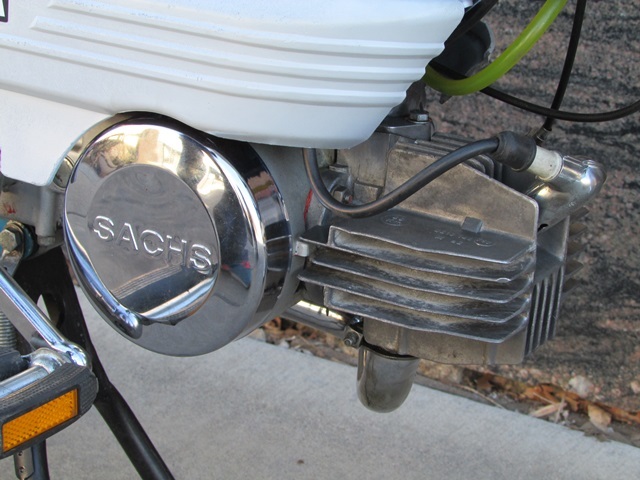 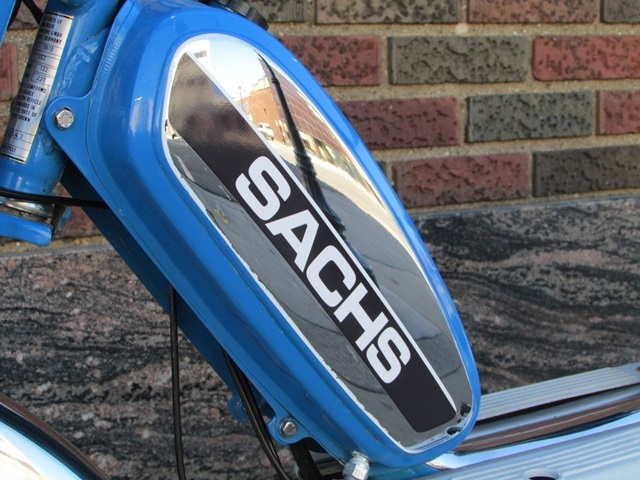 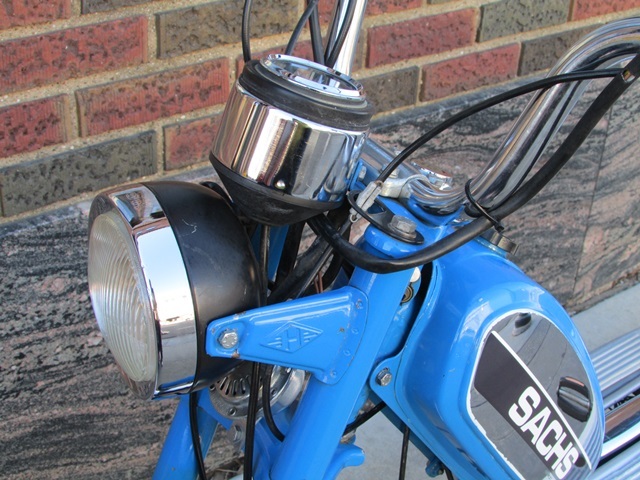 Fully reconditioned blue Sachs Balboa moped. 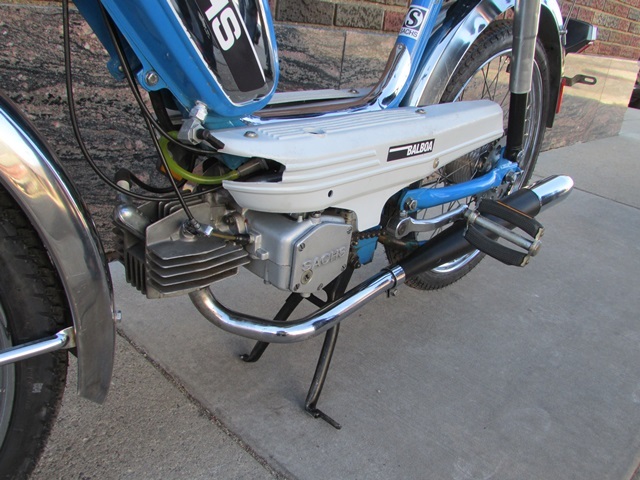 Rebuilt engine and carb, new tires and brakes, electrical and many other new parts. 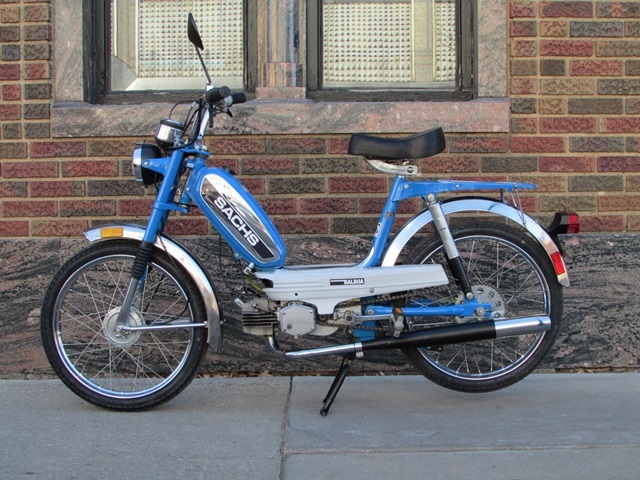 This moped starts easily, runs great, and will be a reliable and fun form of transportation for anyone! 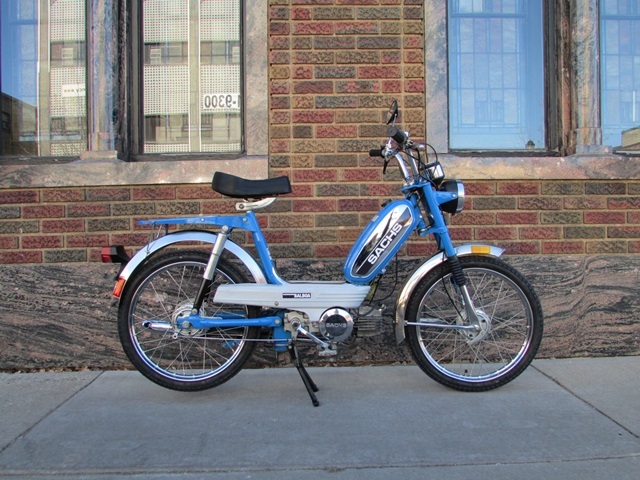 This moped is also available with a few options like a Cat-Eye turn signal system, folding baskets or a set of pannier bags.